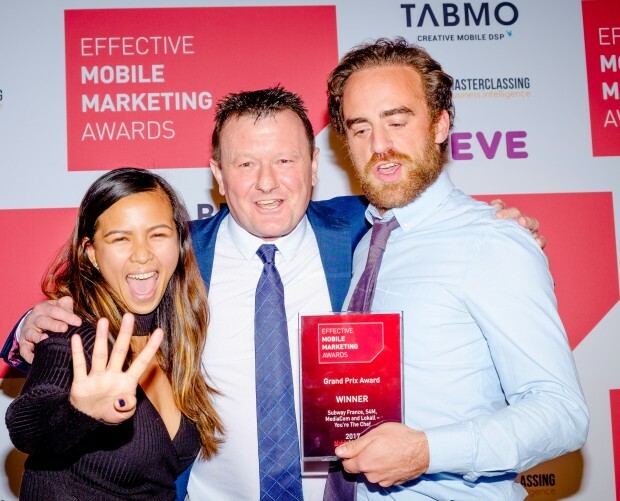 We conclude our round-up of the Effective Digital Marketing Awards winners with a look at the winning campaigns in Most Effective Mobile Campaign; Most Effective Use of Data; and Most Effective Tech Platform categories. The carry-out market for pizza in the UK makes up around 27 per cent (or £830m) of total sales. With this campaign, Dominos aimed to capitalise on the carry-Out opportunity by generating awareness of and engagement with its own carry-out service; instilling new behaviours amongst new and existing customers to drive them into store more frequently, delivered at a cost lower than £25 per visit; and achieving sales growth by out-shining Pizza Hut for carry-Out preference, without any significant above-the-line spend. 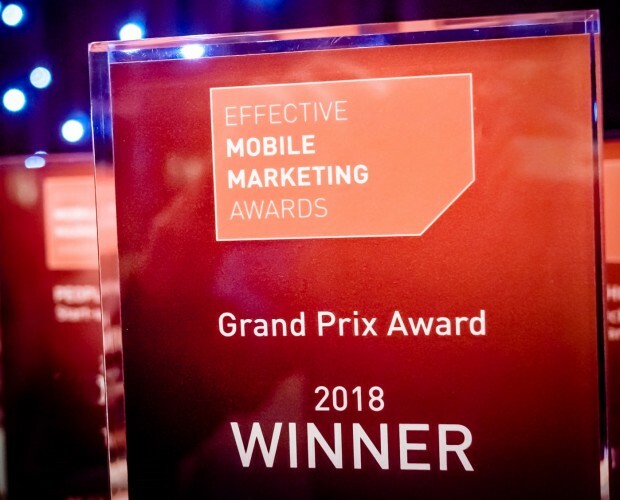 To achieve these objectives, the mobile arm of Havas Media, Mobext, devised a campaign around three overarching principles. Firstly, to use a data-led approach to identify current collection behaviours, pinpointing key moments of trigger and consideration to maximise relevance. Secondly, based on these insights, to find the most relevant audiences using location as the proxy and deliver messages focused on driving carry-out behaviours; and thirdly, to evolve Domino’s carry-out communications, from a short-term burst of activity to longer-term collection habits, through use of promotions and engaging formats to kick-start habitual behaviours. Mobext believed that location behaviours – where someone has been previously and where they are, provide the highest indicator of behaviour intent. Therefore, they approached location specialist GroundTruth to build a campaign that put location firmly at the centre of the strategy. GroundTruth’s proprietary technology, Blueprints, draws automated polygons around points of interest, and allows for precise delineation to understand whether a device has crossed between areas (or in this case whether someone has entered a store). This would enable Domino’s to understand specific carry-out behaviours, and help the brand uncover the most relevant audiences to target, providing strong context for engagement that would encourage results. Using GroundTruth’s insight platform Discovery, powered by Blueprints, Domino’s looked into visitation trends into its own outlets and competitor stores including Papa John’s, Pizza Express and Pizza Hut. It found that there was a consistent inverse relationship between Domino’s and Pizza Hut (when Pizza Hut visitation is below index then Domino’s is higher, and vice versa). This suggested that people’s sit-down and carry-out mind-sets are different depending on time, thus providing an opportunity to change behaviour. It also found that Domino’s visitation over-performed against all competitors between 7 and 11pm on weekdays (suggesting commuter audiences) and 5 and 8pm on weekends (suggesting a localised ‘family treat’ audience). Based on these findings, Mobext worked with GroundTruth to uncover key audiences, looking for people who had previously been seen in Domino’s locations more than once over a given time period; and people who had been seen in tier 1 (pizza brands), and tier 2 (other fast-food brands) competitor locations, and therefore recognised as a relevant audience for Domino’s. Also, having identified commuters as a relevant audience, GroundTruth targeted main commuter hubs across key cities and towns to capture those who are tired and less likely to want to cook. These included London, Birmingham, Milton Keynes, Manchester and Bradford. The campaign also targeted people in close proximity to a Domino’s restaurant, for maximum convenience for families at the weekend or those who need a late-night snack. Finally, the campaign tapped into Neighbourhoods, a GroundTruth targeting product, that uncovers where else people go from one location, thereby identifying clusters where audiences relevant to Domino’s, and other competitors, over-index. This means that audiences in locations similar to those who have been identified as Domino’s customers, or potential customers, can be targeted with the carry-out messaging, to encourage new behaviour. In terms of the creative treatment, a series of high-impact ad units were used to carry Domino’s messaging. Creative interstitials, expandable MPU and expandable banners were sent to consumers identified as relevant to the Domino’s audience, with options to ‘click to location’ via interactive maps, designed to entice people into store. The results of the campaign are confidential, but were sufficiently impressive for Domino’s and its agencies to take the award in this category. 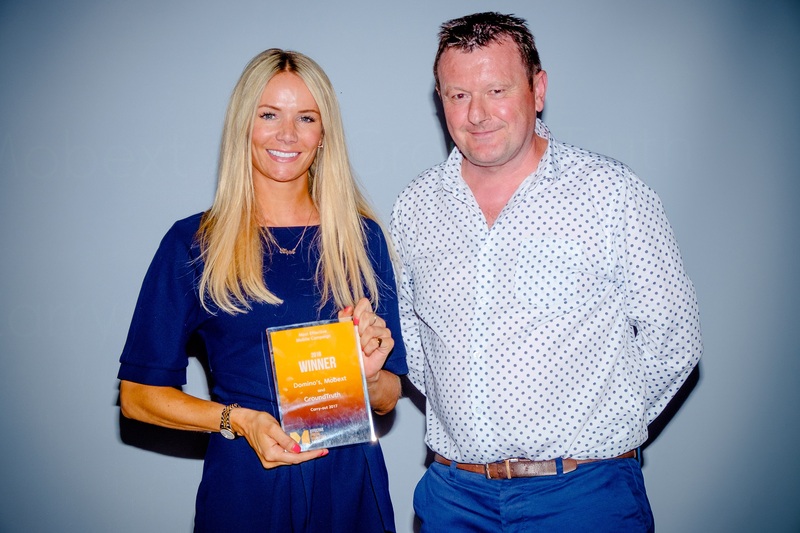 The Most Effective Use of Data Award went to Telegraph Media Group and Fetch for their News Personalisation at a Grand Scale campaign. 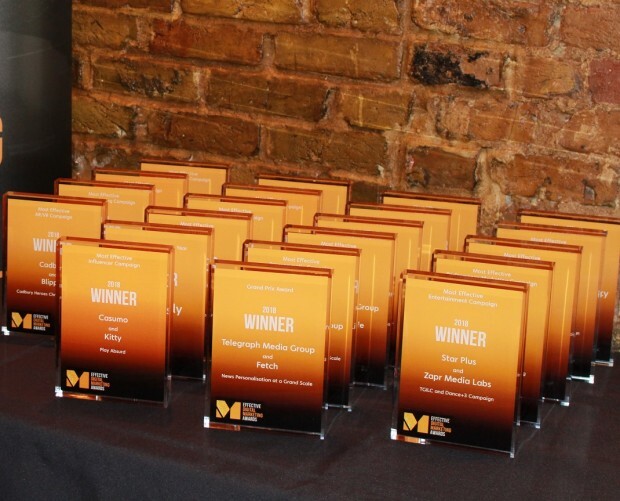 This campaign also took the Most Effective Programmatic Campaign Award and the Grand Prix Award for best entry overall. Driven by the Telegraph’s goal to drive 10m engaged users – users who return to the Telegraph site a minimum of five times – by 2020, the publisher aimed to create brand affinity with a new generation of younger readers (35-44 year olds), who demand instant and relevant online news. To do so, it segmented its audience into six interest groups, from ‘Quality News Enthusiasts’ to ‘Mobile Lifestylers’. The segmentation included their online behaviours, device usage and content preferences. Then, by combining three different technology platforms - a Data Management Platform, the DoubleClick creative ad server and its server buying ad inventory, each group was then targeted programmatically across the web and social, with ad units driving them to relevant, personalised news content, with the help of human-handwritten headlines. The campaign delivered impressive results. The Telegraph saw a cross-device uplift of 11.9 per cent, with 35 per cent of the returning users coming from mobile. This led to 4m engaged users (against a target of 10m users in three years). The campaign also delivered 1,200 Premium Subscriptions and £3.9m in revenue for Telegraph Travel. 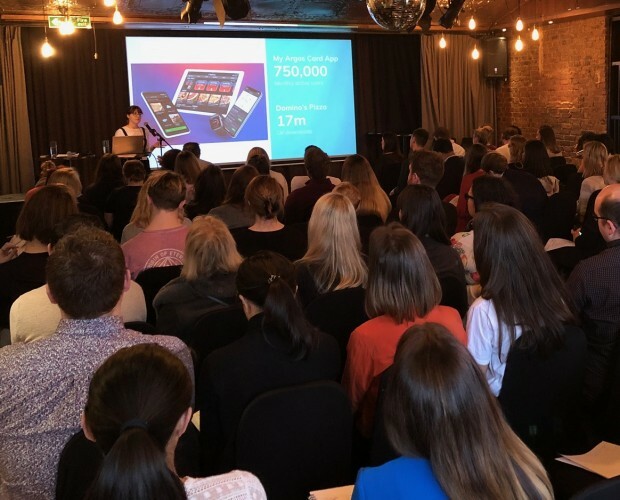 The stats also showed that readers who came to the Telegraph through Fetch’s campaign were four times more likely to return to the site on month three compared with the average digital Telegraph reader, and were spending on average, nine minutes on site per visit. Visit frequency increased by 15 per cent among user’s exposed to the campaign. 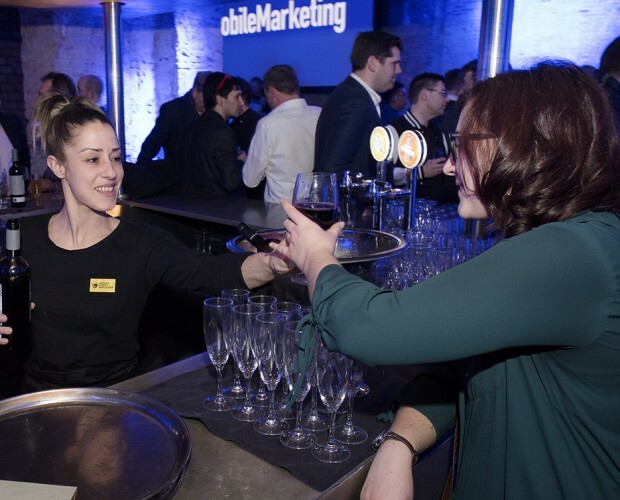 StoryStream first started out as a content platform, specialising in user-generated content, to help brands transform the way they build relationships with customers using content. However, in recent years, the company had identified a common marketing problem that wasn’t being solved – the ‘Content Crunch’. The volume of content being created has grown exponentially recently, particularly due to the rise of social media, putting an increasing strain on marketing departments and their resources. But while StoryStream’s own research shows that consumer brands spend an average of 35 per cent of total marketing budgets on content, representing billions in investment globally, figures form Beckon say that as much as 95 per cent of that content has no impact on engagement and is largely wasted. 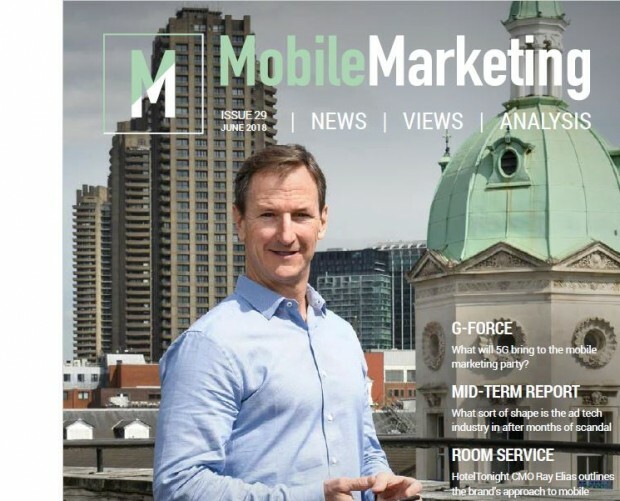 StoryStream identified four key issues its clients and marketers around the world struggled with that would become the focus of its platform, centred around content curation, management, distribution and analysis. It then turned its attention to planning and creating a next-generation content marketing platform that would harness the power of artificial intelligence, and focus on these four key issues, to empower marketers to create compelling, engaging brand stories and measure their impact in real-time. The AI engine at the heart of these functions was created by an in-house team. Dubbed ‘Aura’, it’s an AI-based ‘brand brain’ which was modelled on the human brain and concentrates on four core skills to help marketers understand the context and performance of brand-specific content; connecting its creation, how it’s used in marketing and how its ROI is measured. Its skills include visual recognition; decision-making; language analysis; and data analysis. The more content it analyses, the more Aura learns about what content should be used on specific channels for maximum impact. The enhanced content marketing platform has progressed into helping marketers source all of the relevant, usually disparate earned (UGC) and owned (brand) content around a brand and its campaigns, organise it using into one single view, and distribute the most relevant assets to core marketing channels, ensuring that target audiences experience the most relevant and engaging content at the right time and place. Companies using the platform include Porsche, Rickshaw Travel and Gousto. Porsche has used the platform to create a library of over 10m content items in one central repository, which it distributes to 20 global website in seven languages. Content curation time has been reduced to less than 10 minutes per day, and website dwell time has increased by 446 per cent across Porsche global websites. Rickshaw Travel used the platform to compile over 1,000 premium UGC items last spring. This has led to increased engagement on the company’s website, increased time on page, and increased conversion rates. Gousto has used the platform to build a UGC library of more than 4,600 content items in six months; to increase PPC click-through rates using social content by 30 per cent; and to increase first purchase conversions (in relation to PPC ads) by 13 per cent.